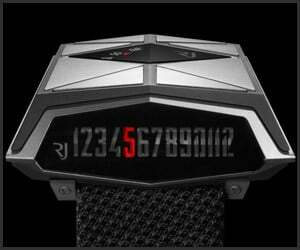 With sharp lines which conjure images of 1970s sci-fi, the $33K RJ Spacecraft watch has a titanium case concealing a self-winding mechanism which displays hours on its slide graph, and minutes on its dial. 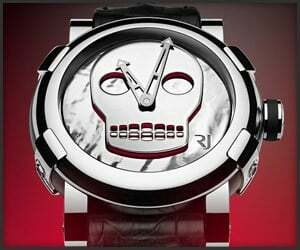 Designed by Swiss artist John M. Armleder, this high-end, limited-edition watch features an imposing skull image on its polished steel dial. Only 10 are being made, each one on different color backdrop. 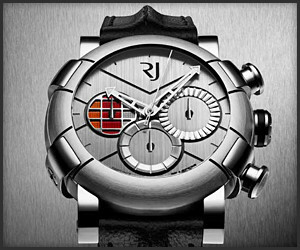 Romain Jerome teamed up with the DeLorean Motor Company to make a limited run of watches from the same steel as the iconic DMC-12. 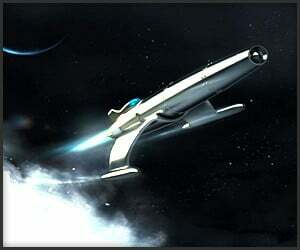 This is as close as you’ll get to owning a DeLorean time machine. 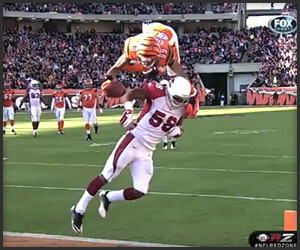 Athletes often do somersaults to celebrate a play, but Cincinnati Bengals wide receiver Jerome Simpson did it while making the play, turning the Arizona Cardinals into a bunch of sitting ducks. Made from a combination of MoonSilver – an alloy of moon dust and silver – and fragments of the Apollo II, the Moon Fighter boasts 48 hand-fixed rivets, a titanium point, and a wing-shaped dock. 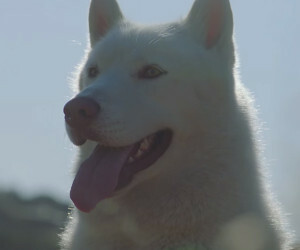 A Husky enjoys a sunny day outdoors with its canine homies in this relaxing music video for You Don’t Have to Be Alone, a new single from Los Angeles-based dance duo Jerome LOL and Samo Sound Boy aka DJ Dodger Stadium. 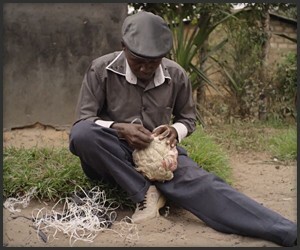 Businessman and online star Jerome Jarre – who as of this writing has 7.5 million followers on Vine – claims an ad company offered him $1 million to stay in New York and work with them for a year. Hoax or not, his message is legit. 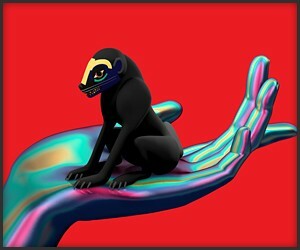 The first single from Wonder Where We Land, the second album by producer Aaron Jerome aka SBTRKT. Vampire Weekend’s Ezra Koenig chants what appears to be a dark depiction of New York in this minimalist track. (NSFW: Gore, Language) Meat Loaf rocks a mustache while attempting to manage a snooty performing arts camp being stalked by a musical-theatre hating, blood-thirsty killer, in Jerome Sable’s future camp classic Stage Fright. 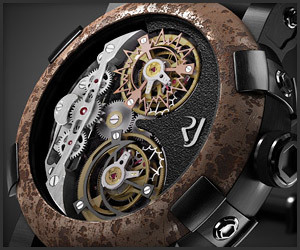 Ultra-lux Titanic watch creator Romain Jerom is back with Steampunk a la Grande; it features a bezel studded with 80 hand-applied rivets and four bolts that resemble watertight hatches. Romain Jerome’s latest Titanic-inspired watch is the T-oxy III Skeleton chronograph, so named for its bare-it-all aesthetic and tourbillon; the bezel is made from Titanic’s steel. 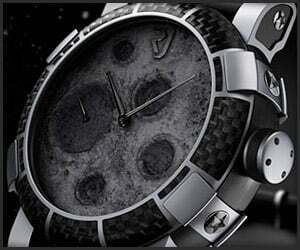 That’s no moon: Romain Jerome is at it again with his Moon Dust-DNA series of watches, which use real moon dust as well as rocket and spacesuit parts from NASA’s Apollo 11 mission. 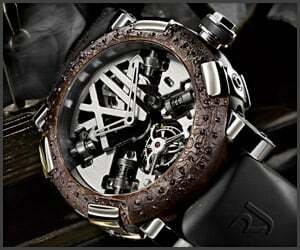 Despite costing over a quarter million bucks, Romain Jerome’s Day&Night watch is already sold out. 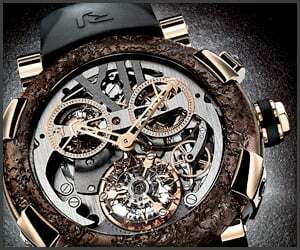 It consists of two tourbillons, one that runs during the day and another during the night.